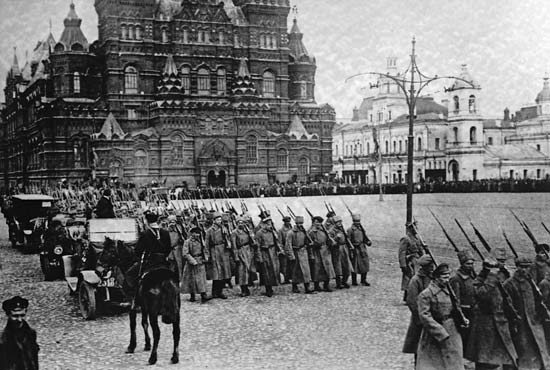 In this podcast Professor Peter Waldron of the University of East Anglia looks at Russia 1906-1917: What were the key factors that led to the Romanov's downfall? 2. Attempts at reform of the Russian state fail. The use of force to pacify rebellion in Russia. 3. World War I breaks out. Russian retreat. 4. Conscription, pressure on farming community, famine, lack of compensation and political dissent. 6. The First World War. Political polarisation. 7. Nicholas II becomes commander in chief of the armed forces. 8. Rebellion, loss of army support and abdication.